For your convenience, our most common customer questions are answered here. Not finding what you want? Reach out directly through our form below. Q:How long do they last? A: The life of your natural lash. However Lash Dolls Boutique recommend getting a refill every 3-4 weeks to keep them looking nice and full. Q:How do they feel when wearing them? Lash Dolls Boutique have applied 1000’s of full eyelash extension sets, so we are very efficient. Most of our sets take 60-100 minutes. 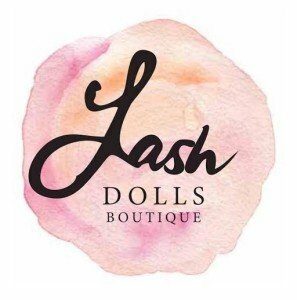 A: Lash Dolls Boutique do not recommend wearing mascara as it reduces the life of your eyelash extensions. A: Lash Dolls Boutique recommend that you lightly brush your eyelash extensions after washing your face to ensure they remain straight and in line with your natural lashes. You will be shown how to wash and care for them at your appointment. We recommend refills every 3 weeks. 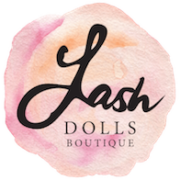 Q: What are the Lash Dolls Boutique most popular Eyelash Extension Sets? A: Keep your lashes dry for at least 7 hours (24 hours is ideal). No swimming, steam rooms or saunas for 48 hours. Use only water based makeup removers and cleansers (Oily/cream based products will shorten the life of your eyelash extensions). No waterproof mascara. No eyelash curlers on your eyelash extensions. Avoid rubbing, touching and playing with your eyelash extensions (This can become addictive, so just don’t even go there!). Use a foaming cleanser on your lashes at least every other day (We’ll show you how it’s done). We recommend Sterilid Eyelid Cleanser. Use a tissue to blot dry lashes after washing your face. Don’t forget to pre-book your next eyelash refill at 2 – 4 week intervals in order to maintain the fullness of your eyelash extensions (We recommend 3 weeks for most clients). Please remove all eye makeup prior to your appointment, to ensure you receive the most out of your treatment time. Contact lenses cannot be worn during the treatment, as your eyes will be closed while the eyelash extensions are being applied. Avoid using waterproof mascara for at least 3 days prior (that stuff can be like cement to get off).